Sunday 7th March I presented Studio Elli & Zo at the baby fair (Babybeurs) in Born. Lovely to see expectant mums looking at my birth announcement cards. Had some wonderful reactions to my designs. 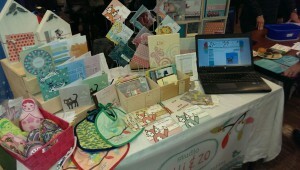 Encouraging and I have new ideas too, after listening to what the expectant parents are looking for!